Tell Congress: PROTECT MY PENSION! Earlier this year Congress established a bipartisan Joint Select Committee on the Solvency of Multiemployer Pension Plans. This Committee is tasked with producing legislation by Nov. 30, 2018 to address the dire solvency issues facing over 100 multiemployer pension funds across the U.S., including the AFM-EPF. The good news: There is still time to make our voices heard. In their meetings with AFM-EPF Trustees, members of the Joint Select Committee universally stated that no legislative approach has been finalized, and there is still time for more ideas about fully and fairly addressing the crisis—and for more negotiation to attempt to reach a consensus. However, it is still far from certain whether any proposed solution will garner sufficient bipartisan support in the Committee, let alone both houses of Congress. This entry was posted in All News and tagged AFM-EPF, pension on November 9, 2018 by admin. 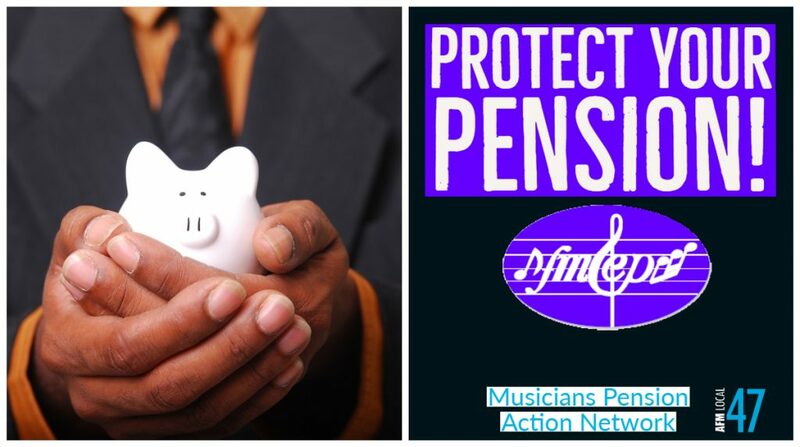 Musicians Pension Fund: Make Your Voice Heard! This entry was posted in All News and tagged pension on October 25, 2018 by admin. 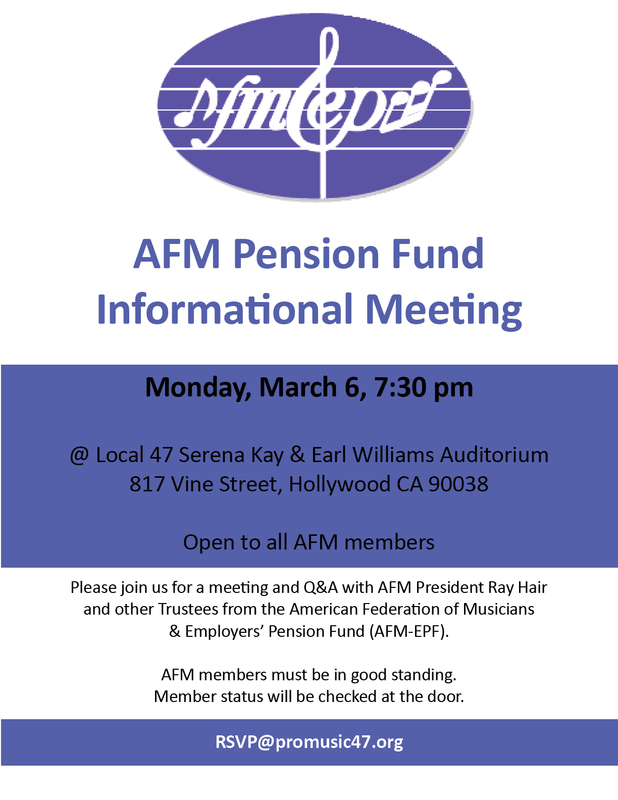 This entry was posted in All News, Events and tagged AFM-EPF, pension on February 23, 2017 by admin.